I’ve recently bought three products that I think might interest you. The first is an OBD reader and display. However, the other OBD units have all been problematic to a greater or lesser degree. The one that looked most promising needed multiple firmware upgrades from the seller before it would work at all, and in the end never operated satisfactorily. Then I bought a ScanGauge (pictured above). At the time of writing, with the Australian dollar so strong against the US dollar, the ScanGauge can be bought for around AUD$170. And at that price it’s just a helluva bargain. I bought it online. It arrived by post the next day: I plugged it into the OBD port, configured it without even glancing at the instructions, and have never had to touch it since. Buying and installing dedicated gauges to show me those four parameters would have cost vastly more and taken hours, rather than seconds, to install! The device can also be configured to show fuel consumption and also some unique, manufacturer-specific data. It’s a favourite in the hybrid community (especially with the Honda Insight and Toyota Prius owners) and I can see why. I give it 10/10 for value and functionality. Changing gears completely, I recently bought a new pair of sunglasses, primarily for driving. I last wrote here about sunglasses back in 2002 and now I think things have changed. This time, the sunglasses were bought from an outdoor store – they’re sold not only for general use but also for snow and mountaineering. I won’t be climbing too many mountains, but behind the steering wheel I find them quite incredible. They’re Julbo Colorado with polycarbonate Spectron lenses having an anti-reflective coating. 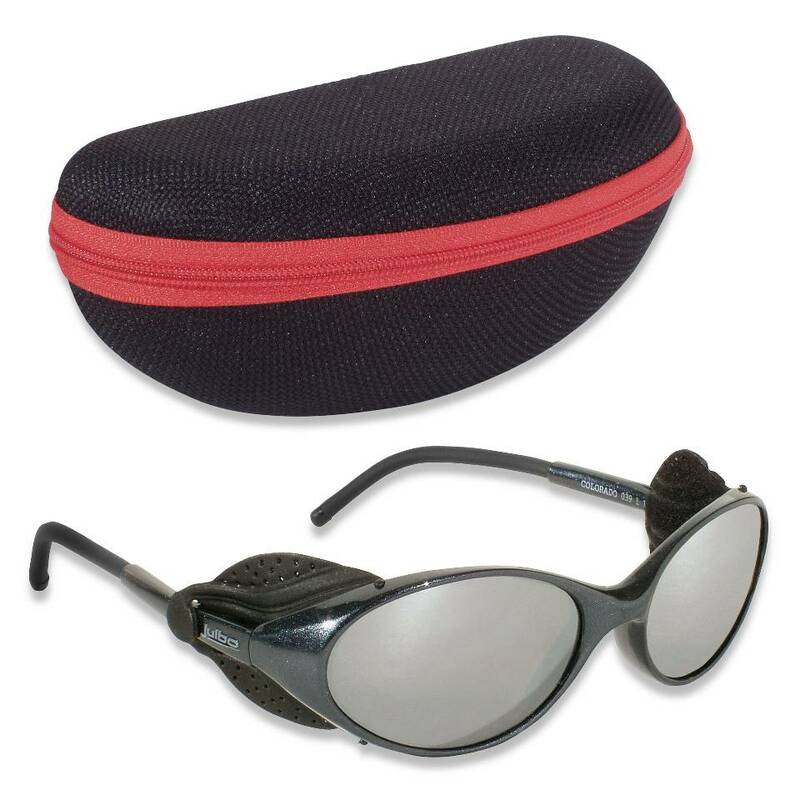 The lenses are claimed to provide 100 per cent UV protection and to reduce visible light transmission by 95 per cent. I don’t really know what those figures mean, but what I find is that they’re just fantastic in reducing glare. The lenses have a brown tinge (that I don’t like all that much) but the clarity they give driving vision is amazing. The highlights seemed to be reduced in intensity but vision is still possible in the shadows. And they’re not that expensive – say about AUD$75 here in Australia. Finally (and don’t say I never give you an eclectic mix! ), I recently bought some hammers. The Australian eBay seller – Pacific Agriculture Forge General – directly imports the hammers and, to coin a phrase, passes on the savings. The hammers are cross-pein designs and for your money you get a set of three hammers: 2 pound, 3 pound and 4 pound. 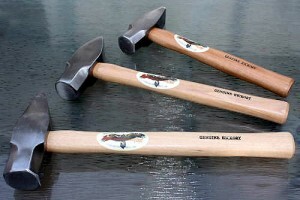 The heads are drop-forged and hardened and the handles are hickory. If you can’t find the vendor on eBay, you can directly email Greg Greet at greetingsurthling (at) gmail.com.